A new update has been stealthy teased for Need for Speed Payback, adding the highly-requested feature of being able to kill lead protagonist Tyler Morgan. 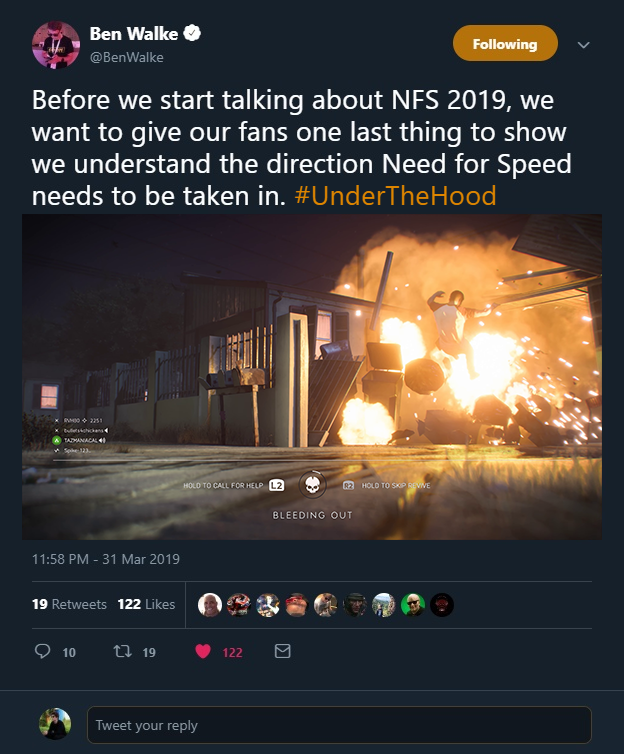 Need for Speed Community Manager, Ben Walke, teased that a new update will be coming soon late last night via Twitter then immediately deleted the tweet soon after. The tweet included an image of the iconic cutscene from Payback’s story where Tyler’s house is blown up by Lina Navarro, however this new update appears to be adopting a new branching narrative to this scene where the story will continue without Tyler. The new Quick Time Event UI for this cutscene seems to be noticeably similar to Battlefield, another game that Walke is community manager on, suggesting that a Need for Speed x Battlefield crossover event may be coming to the game. There are rumours circulating that this update will also introduce the addition of Bikes and new difficulty modes for Bait Crates: Need for Speed 2015 Mode where the police are braindead and Need for Speed Rivals mode where the police flatout try to murder you with no regards to the law. 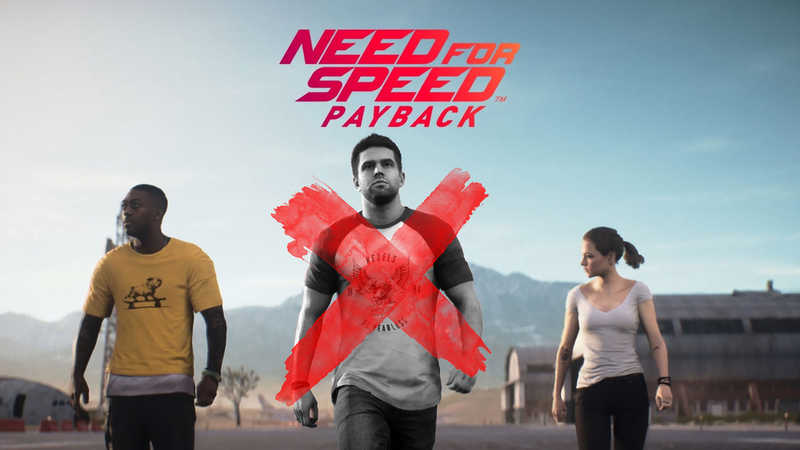 With Need for Speed Payback being updated to kill off Tyler Morgan, hopefully this is a sign that Need for Speed 2019 will feature new and far less annoying characters. Are you excited to kill Tyler Morgan? Leave your thoughts in the comments below!